Tonight in Hokitika, archivist and author Trish McCormack will be officially launching her third murder mystery set on the South Island's wild and scenic West Coast, COLD HARD MURDER. New Zealand is a county of stark and magnificent natural beauty, with diverse and numerous national parks and other wild areas spread all across a small nation. But like many places, a decent chunk of our crime fiction is set among the bustle of our larger cities. McCormack, who lived on the West Coast for many years before moving to Wellington - including working 15 years with the Department of Conservation and as a reporter for local papers - has instead set her Philippa Barnes tales among our wild and wonderful natural environment. Her evocation of some our West Coast national parks was a highlight of her first two novels, ASSIGNED TO MURDER and GLACIER MURDER. 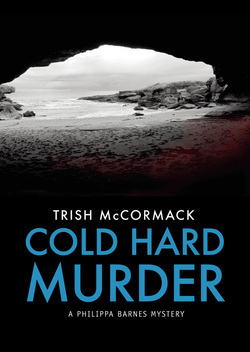 In COLD HARD MURDER, Barnes has switched careers from glacier guide to working for the Department of Conservation (DOC), but once again becomes an amateur sleuth when a death and a series of violent incidents occur near Punakaiki's Pancake Rocks, and the community is bitterly opposed to another DOC ranger's plans for a commercial tourism venture in the national park. Visiting interesting places is one of the real treats of being a crime fiction fan, and I'm looking forward to seeing what McCormack has in store for us in COLD HARD MURDER.